Having had a long history in the world of aviation Oris introduced the Big Crown ProPilot Collection, comprising the worlds first automatic watch with built in Altimeter and the landmark in-house developed Calibre 111 manual winding movement with 10 day power reserve. The Oris world of Culture comprises classic Artelier collection including a suite of in-house developed calibres and the 21st century Artix All with innovative and versatile designs that will slip under any cuff, however formal. 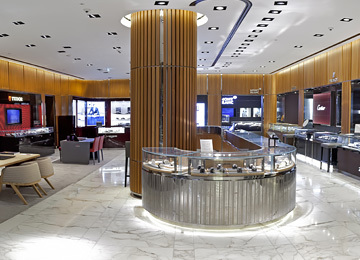 A contemporary take on traditional watchmaking. The Oris Divers collection offer a watch with real-world, innovative functions, with a variety of considered design, and fit-for-purpose. The ProDiver a definitive professional diver's watch. The Aquis an "everyday" package and The Divers Sixty-Five looks back to Oris's first diver's watches in 1965. Oris is an independent company and is one of the few Swiss watch brands remaining who specialise in only producing 100% mechanical watches. Oris,based in Hölstein, Switzerland has been making watches there for over 100 years and has perfected traditional watch-making skills to develop a wide range of styles from the worlds of Culture, Diving, Aviation and Motorsport. Being independent means that its values are in safe hands. It also means they are free to innovate and explore useful functions and features for daily use. The red rotor, which is visible through the crystal case back is the symbol of a true Oris mechanical watch. 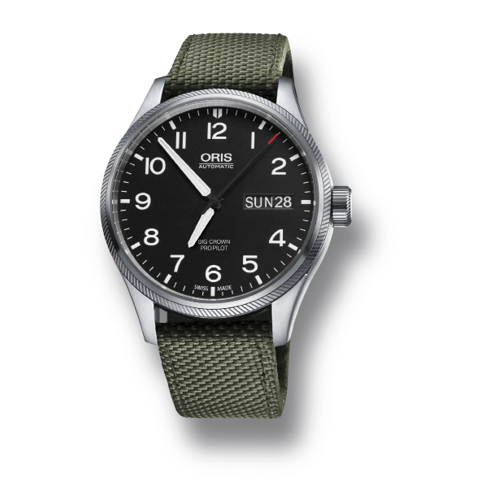 It is the symbol of Oris's High-Mech approach to watchmaking. 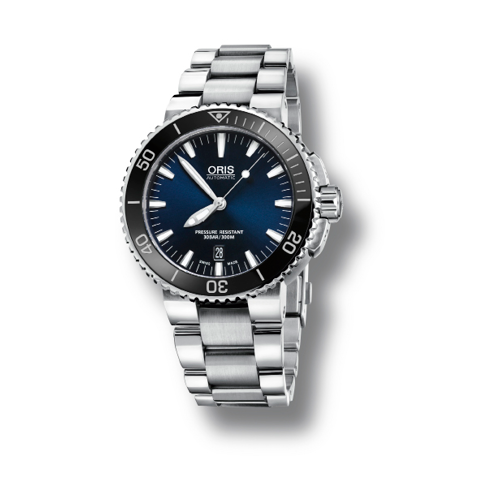 Every Oris watch is innovative, functional, sensibly priced and designed to bring many years of pleasure.